Our team of senior security tacticians and strategists are also available via an offering that is totally customized to your organization’s specific security demands. 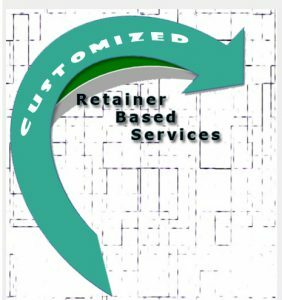 Feel free to select specific services from our four offerings and develop a retainer based package that exactly fits your specific requirements and environment. We would be happy to discuss developing a program that would be tailored to fit your unique issues. They represent what our clients tell us they have been looking for in the way of additional experienced support as their security challenges have continued to increase. Our aim is to support your security obligations now, and in the future.